Diana’s Garnet was never a favorite of her Uncle Russell’s. She was an ill-tempered mare and he always said Diana rode her just to spite him. But in his heart he was proud of his niece for saving the animal from the knackers, and for trying to make something of the tall, angular chestnut. He knew Diana needed Garnet, just as Garnet needed Diana. The Marquess of Wimberley was only too aware that the victim of abuse, be it man or beast, can sometimes be set upon the road to healing when given a purpose–a destiny. And his lordship fervently hoped this first step for Diana would lead her toward recovery. Little did he know it would lead him there as well. The notion of rescuing animals–saving them from ill-treatment–was a topic of considerable discussion in the Regency period. Philosophy was motivated in those days by new ideas about the rights of man. A century before, Locke, and later Kant, had already raised the notion that animal abuse was a bad thing–not for the animals, but for man. In the mid-eighteenth century Rousseau argued the matter one step further. The beasts of nature, by virtue of them being sentient, have their own right to the mercies of natural law, even if they cannot reason on their own. The entire idea of introducing laws to protect animals remained, however, purely philosophical. It was also something of a comedy. Wollstonecraft’s In Defense of the Rights of Woman at the close of the eighteenth century was met with another tract published under the satirical title, Vindication of the Rights of Brutes. In other words, if we give rights to women, we shall dashed well have to give them to the beasts! It must be said he did not oppose the use of animals for medical research. He gave his own body to a medical college for public dissection and ordered that his corpse be put on display in an auto-icon. This entry was posted in Notorious Match, Notorious Vow, Regency, Uncategorized and tagged animal rights, in defense of the rights of woman, Jeremy Bentham, Kant, Lansdowne House, Locke, Regency, Rousseau, Wollstonecraft by Angelyn. Bookmark the permalink. Angelyn, What a good post. 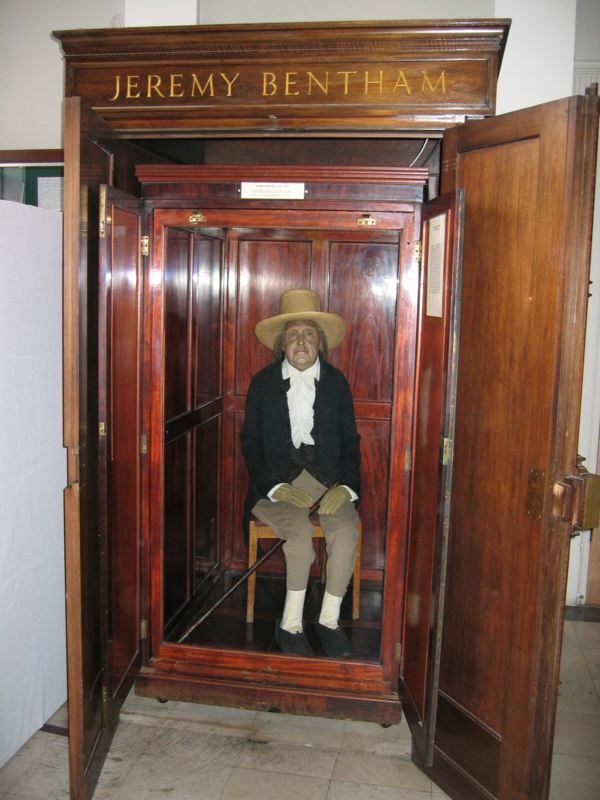 I read Bentham in university and he became one of my favorite philosophers. I loved your excerpt. Interesting post, Angelyn! Since horses were primary sources of transporation then, I’m sure a lot of animal abuse went on. Thanks, Susan. In this post somewhere is a little girl who despaired over Black Beauty. As usual, a most interesting post. If humanity broadened it’s scope to eradicate suffering and include all humanity and animals, there might be far less abuse and a happier world. I will have to look into the writings of of Bentham. Insightful comment–you sound like an expert on Bentham. Thank you for stopping by, Sandy. Wish we could say we have progressed in today’s world. Unfortunately, there is still abuse…animal and otherwise. Thanks for a wonderful post. Quite right–we have a long way to go. A topic very near and dear to my heart. I have several rescued animals and am familiar with the history of animal welfare in the U.S., but know very little about it during the Regency period. Thanks for another thought-provoking post. Glad you enjoyed it, Ally.